Yep, that looks like Lex Luthor. Jesse Eisenberg stares down the camera with his signature chrome dome to give us the first official look at the megalomaniac from next year’s Batman v Superman: Dawn of Justice. Check it out below! Click over to EW for the full image. In all honesty, there isn’t a lot that you can do with Lex Luthor’s look. Though there was some debate early on in the process as to whether the Social Network star would shave his signature curls to play Luthor in Zack Snyder’s movie, it goes without saying that Lex without his bald head just isn’t Lex. 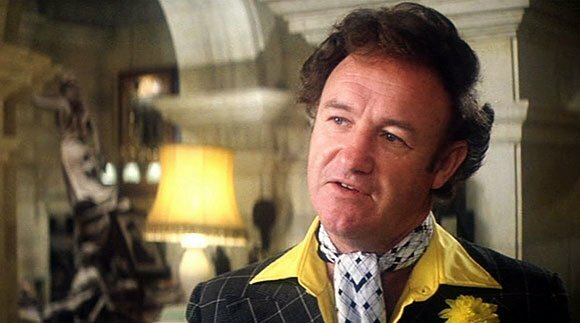 Remember how silly Gene Hackman looked in his wig? 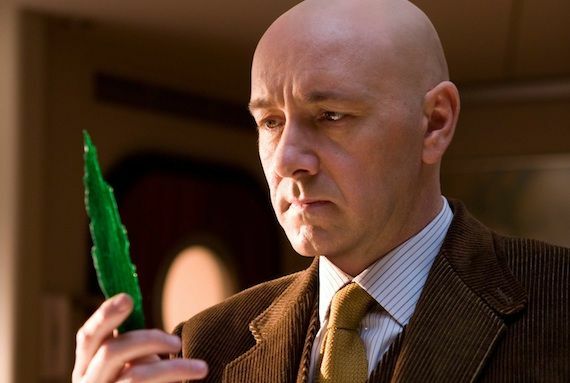 At least Kevin Spacey knew enough to go full method and shave that dome before playing Lex Luthor in Bryan Singer’s Superman Returns. Our Lex is disarming and he’s not fake. He says what he believes and he says what’s on his mind. If you can unravel the string and decipher what he means, it’s all there. Sure, Zack Snyder. Thanks for that. Here’s what I’m hoping. Maybe this reveal of Lex Luthor from the upcoming Batman v Superman: Dawn of Justice movie means that Warner Bros. is bracing us for footage. Because Snyder surprised everyone (including Jason Momoa) when he revealed the first look at Aquaman. And this came out of nowhere. So I’m thinking maybe a trailer for the movie might actually be attached to Mad Max: Fury Road as rumored. Possible? Let us know what you think.